As most of you know, I’m really not into sports. I didn’t grow up watching or playing them, so I never really understood the fascination with things like fantasy football. But then I found out that you could bet on games. And it’s literally how I learned how to enjoy and understand the game, which is fantastic because all Tony wants to do on Sunday is stay glued to the TV. I have a feeling he’s not the only one. But to be honest, it’s kind of a miracle that I have some interest in gambling (legally, of course) because now I actually want to hang out on Sundays, watch the games, eat football party food and laugh in Tony’s face every time I win. Highly competitive here. Many of you know that I love chicken wings thanks to my ridiculous snapchats (follow me @ambitiouskitch). This time I wanted to create a lightened up version of chicken wings that could be baked to golden crispy perfection without any oil or flour. 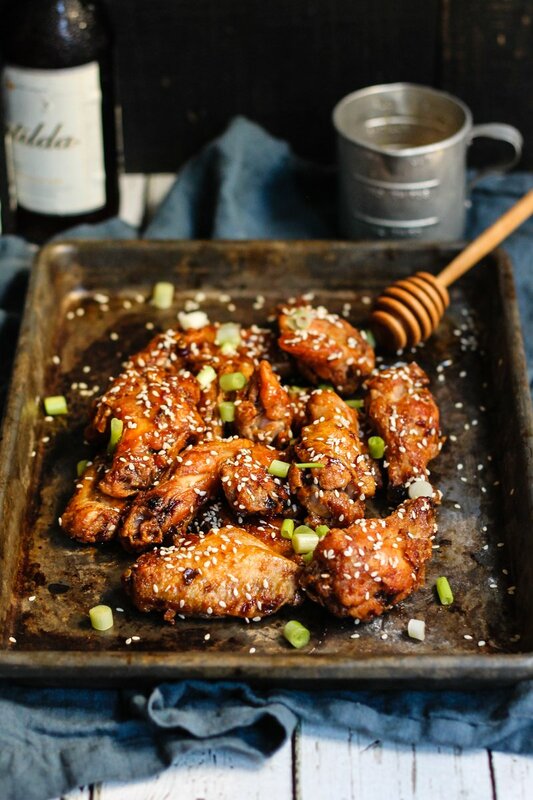 Enter: these crispy baked chicken wings with a honey-sriracha-soy dressing. So good and one of the best football snacks ever. For the recipe, I used my favorite chicken wings from Just BARE Chicken. They come in a big family pack and are absolutely wonderful for parties or a get-together, and honestly their chicken tastes so much better than any other brand I’ve had. Did you know that Just BARE is a provider of Natural/No Antibiotics-Ever and Organic varieties of chicken distributed nationally? The brand lives its mission of raising goodness by providing good food for more people to fuel passions and a healthier future. Pretty cool. To get these chicken wings nice and crispy, I used baking powder, a tip I learned from Cook’s Country. It’s an incredible way to draw out the moisture in the skin (and the fat) plus get the skin golden crisp without having to use flour or oil. WHEN I DIP, YOU DIP, WE DIP: Most 7-layer dips are packed with unnecessary calories from sour cream and excess cheese, try this lightened up version that uses greek yogurt and avocados instead. 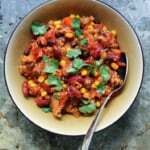 GAME DAY CHILI: Try a fiber and protein packed vegetarian version with black beans and quinoa. 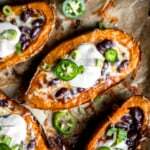 HEALTHY NACHOS: Try replacing sliced sweet potatoes instead and load them with plenty of beans, cheese and veggies. 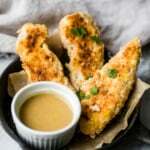 MOZZARELLA STICKS: While they’re usually fried, mozzarella sticks can be fantastic when they’re baked too. 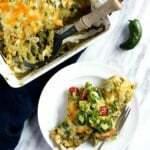 Check out this recipe for a better for you version. EVERYONE MUST HUMMUS: I’m a huge hummus fan and I love this healthy version that uses white beans, basil and garlic. Plus, you get to make your own homemade pita chips! FRIES FOREVER: Instead of regular french fries, how about baked sweet potato fries? Paired with homemade honey mustard that will knock your socks off. POPCORN: Instead of topping your popcorn with butter, try popping it at home and then topping it with this amazing, nutritional ingredient. FRUIT: It’s a must at every party. Instead of dipping them in caramel or a sugary fruit dip, try a healthy dessert version of apples dipped in dark chocolate. SOMETHING CRUNCHY: Instead of your usual Chex Mix loaded with butter, try this lightened up version sweetened with honey and sriracha. DESSERT TIME: Cookies are usually made with tons of butter and flour. Try these flourless peanut butter oatmeal chocolate chip cookies instead! I hope you love these recipes and wings as much as I do. Be sure to leave a comment below or tag #ambitiouskitchen on Instagram if you make the wings — I love seeing your creations. xo! 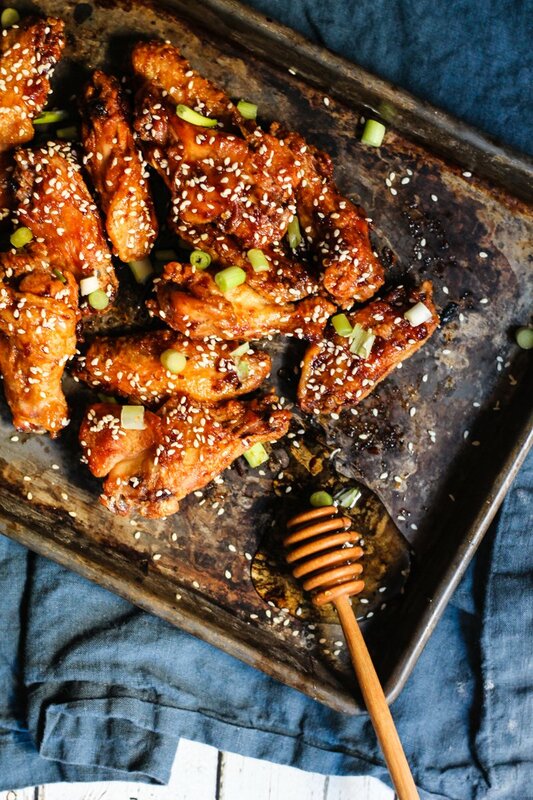 Sweet and spicy crispy baked chicken wings with honey, sriracha and soy. A secret ingredient crisps them up in the oven without having to use any flour! Gluten free. Preheat oven to 275 degrees F. Set a wire rack inside of a foil-lined large rimmed baking sheet. Spray rack with nonstick cooking spray. Pat wings and drummies with a paper towel to dry well. Add chicken to a large plastic bag along with baking powder and salt; close bag and shake to coat wings. Add wings to wire rack and bake for 20 minutes. Then increase oven temp to 425 degrees F and bake for another 30-35 minutes or until wings are crispy and slightly golden. While wings are baking, whisk soy sauce, vinegar, honey, chili paste sriracha and ginger together until well combined. Next add sesame oil to a small saucepan and place over medium heat. Once oil is hot, add in garlic and saute for 30 seconds. Add in soy sauce mixture and simmer over medium low heat for 5 minutes, stirring frequently. This will help thicken and concentrate the sauce. Turn off heat but keep in saucepan until wings are ready. Once wings are done baking, place them in a medium bowl and add in sauce. Toss well to coat the wings. Garnish with sesame seeds and green onions. Drizzle a little extra honey on them if you'd like. Serves 6; 3 wings each. 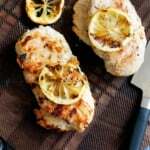 Disclaimer: This recipe is sponsored by Just BARE Chicken. Thanks for continuing to support the brands that help make this site possible! 50 Responses to "Spicy Honey Crispy Baked Chicken Wings + 10 Healthy Football Snacks"
What an awesome round-up of healthified football snacks! Those chicken wings look so flavorful! I thought I had cured my “wing” addiction, but, maybe a few more … just to test your recipe! these sound perfect! been going through withdrawals since i’m a 7 hour drive from my favorite wings, so i’ll have to try these out (: love the color and caramelization on these! love the baking powder pro tip, definitely something I’m going to have to try! Yes, you will love it!! I’m going to try it with drumsticks next. How did it end up working with drumsticks? These look fabulous! I love chicken wings. I actually just had smoked chicken wings for the first time the other night and hello flavor! Well, that just sounds fabulous. These look and sound awesome! I’ll definitely be making them for game day soon! I’m not into sports either but I AM into sports food. Awesome round up and beeeeeautiful photos! Thank you so much Erin! You are so sweet. Those chicken wings look ahmazing, darling, the boys will love them. And thanks for the round-up of healthy snacks. I don’t know about the others, but I’m definitely gonna enjoy them. I’m so looking forward to making these! Question: where do you purchase red pepper paste? Regular grocery store? Thanks for the great recipes! Keep them coming! 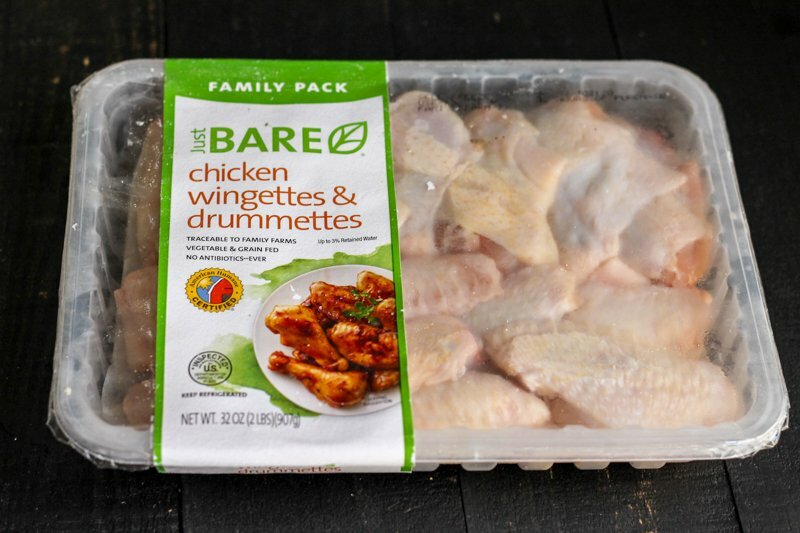 We love the Just Bare products here and I’m thinking these chicken wings would be awesome for our next football-watching binge. I only show up for the games to take advantage of all the delicious food. These wings need to make their way to my next game-day party. Pinned. 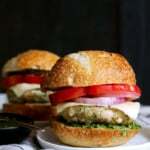 LOVE your football party menu! And I’m going to hunt some some Just Bare chicken and make these scrumptious wings! These look so good! I love the idea of making my own chicken wings, I was always worried about getting them crispy. 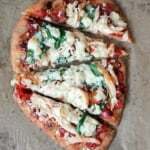 Thanks for the great recipe, looking forward to trying this for the game this wek! I grilled the wings (62* in January!) and then put the sauce on them. So good! They definitely pleased the football watching crowd at my house. Can you use boneless chicken pieces instead of the wings? These sound awesome. China Glaze, is a prominent supplier of professional nail lacquers. Their nail enamels are known globally for chip resistant, durable and long lasting shiny treatment. Just in case in case you aren’t serious within the offer, you’ll be able to reject the give and start back again you jewellery. Enterprise will not likely set you back for . In the event it were to happen, might really undermine the security of the nation of The country. These were delicious and flavorful! Glad you loved them 🙂 one of my go-to’s! I have traders sweet sauce & Thai red curry paste. Could I use either of these in replace of red chili paste? Let me know. Looks great!